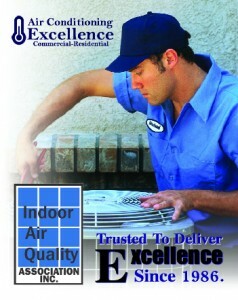 Quality Air Conditioning Repair Service Margate Fl Since 1986. Air Conditioning Excellence Margate Florida is a residential and commercial air conditioning repair, installation service provider in South Florida. Our specialty is installation of new high efficiency Air Conditioner equipment HVAC equipment for an affordable price. If your air conditioning system isn’t working as smoothly and efficiently as it did in the past, you might be in need of an AC repair. For a professional diagnosis, contact Air Conditioning Excellence repair service in Margate Florida. Your highly trained technician will provide you with expert service and advice, including diagnosis of your current system’s state and expert air conditioning repairs. We repair all brands of Air Conditioning equipment. We are locally owned, licensed, insured. If you are in need of a South Florida Air Conditioning repair or are looking to replace your old air conditioning unit we have the support staff you're looking for. Air Conditioning Excellence repair service Margate Florida, repair, service, install and maintain all major brands of air conditioning residential and commercial. When you call us with your air conditioner repair needs, we’ll send one of our highly trained technicians in to troubleshoot your system, and make any of the necessary repairs to get your system up and running. At Air Conditioning Excellence Inc., we are pleased to offer repair services for any make or model of air conditioner you own, so even if you didn’t purchase your system with us, we can assist you. We are able to supply all interior and exterior air conditioning equipment, condensers, heat pumps, compressors etc. Our team is highly competent when repairing, service, install, maintenance and also designing complete air conditioning systems. Air conditioning Excellence Margate Florida offer Air conditioning equipment’s from all major manufacturers including including Lennox, Rheem, Bryant, American Standard, Amana, Westinghouse, Ruud, Day and Night, York, Trane, Carrier and Goodman at prices that are extremely affordable. We also offer a rapid response air conditioning repair service throughout South Florida. At Air Conditioning Excellence Inc., we understand that life goes out of gear when an AC malfunctions or needs repair. It's difficult to bear the summer heat without an air conditioner. Before the summer sets in, make sure you get your AC unit gets repaired and serviced. By servicing your Air conditioner system, you can not only increase the efficiency of the electronic unit, but also decrease the power consumption, which will ultimately reduce your power bills. Maintaining air conditioners is even more important at a commercial setup. A business simply can't afford to leave its AC broken, as this makes the workplace uncomfortable for the employees and customers. We help you deal with any type of emergencies by offering a fast and reliable AC Repair Service Margate Florida. You can contact us for all your air conditioning needs. We guarantee highly satisfactory services and ensure that there will be no delays. Our team comes equipped with everything they need to get the job done. We're always eager to serve you proficiently. We have high-end equipment that helps the technicians complete their work in no time! A new air conditioning installation represents a significant investment for your family or your company. Homeowners or businesses will benefit from prompt, expert installation when they choose Air conditioning Excellence Coral Margate Florida to meet their needs. If you’ve noticed your utility bills rising without explanation, your current air conditioning system is 10 years old or more or isn’t running smoothly and efficiently, you’ve added to your home or business or you’ve learned that your system needs extensive repairs, we can help you find an air conditioning system that will work best for your needs and your budget. Our technicians are offered regular training to keep them abreast of all the latest ACs and make sure that they are able to handle all models of air conditioners including Lennox, Trane, York, Carrier, Rheem, Bryant, American Standard, Amana, Westinghouse, Ruud, Day and Night, Samsung, Daikin, Panasonic, Mitsubishi, Fujitsu, and many more. Most AC breakdowns are avoidable if the air conditioning system is regularly maintained. Our maintenance services in Margate Florida, Florida keep your equipment in top condition and add to the life expectancy of your unit. It also drastically decreases the probability of your equipment breaking down. We don't need to have installed your air conditioning equipment to take advantage of our maintenance services. We're recognized as the leaders in the air conditioning industry. No job is too small or too big for us. We provide you with a 100 % satisfaction guarantee on our Air conditioning Repair Service Margate Florida so that you can have peace of mind that the job will be done right. With competitive pricing, we ensure that you pay lowest possible price for air conditioning services in Margate Florida. With over 29 years of experience in the air conditioning industry, Air conditioning Excellence, Inc. of Margate Florida provides excellent customer service to all our clients. We have a dedicated team of technicians and customer support staff and we are always there when you need us. If you are interested in buying a new air conditioning system, thinking of replacing your old air conditioner or in need of maintenance or repair services, call us at (954) 368-0655 for a free quote on our stellar AC Repair Service Margate, FL. Air Conditioning Excellence Margate Inc.
Fort Lauderdale, Pembroke Pines, Hollywood Fl, Hallandale Beach Fl, Dania Beach Fl, Plantation Fl,Weston Fl, Miramar Fl, Boynton Beach Fl, Delray Beach Fl, Deerfield Beach Fl, Pompano Beach Fl,Sunrise Fl, Lighthouse Point Fl, Coconut Creek Fl, Coral Springs Fl, Tamarac Fl, Margate Fl,Parkland Fl, Cooper City Fl, Plantation Fl, Davie Fl, Wilton Manors Fl, Lauderdale Lakes Fl.